Many patients fear Root Canal Treatment but advances in modern technology has made the procedure easy for both patients and Dentists. When tooth roots are unhealthy there is a danger that you will loose your tooth if Root Canal Treatment is not carried out. 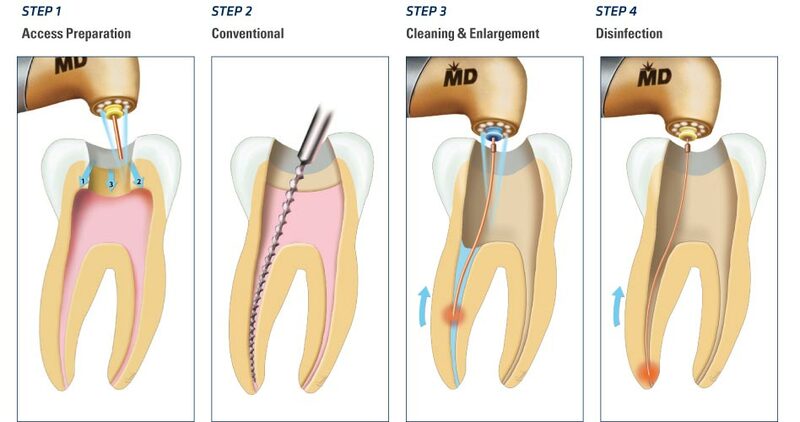 Teeth which have had Root Canal Treatment are filed with White Composite Filling and can also be closed with a Dental Crown to further preserve the tooth underneath.